Mind maps are pictorial representations of connected ideas and information which can be used by individuals pursuing different kinds of vocation like by teachers for students, by team leaders or other professionals. You can use these tools to generate and manipulate maps that show your thoughts. Mind maps can help you to improve your creativity and effectiveness. Previously, these maps were created by sketching the related ideas by hand. However, with the development in technology many software and web applications have also come up which can perform the same task easily, efficiently and within less time. The users need to upload all the information and data in the software or web apps, thereafter the software will automatically generate the visual and graphical representations of the data. Visual representations are easier to understand and interpret in comparison to the written information. Mind maps can be easily analyzed by specialists working in different sectors of a business house to develop a good and effective business plan. It also helps to keep people working in different sectors of the business updated and informed, especially for enterprises that have branches throughout the world. In this article, we are presenting before the readers twenty efficient mind mapping tools that can be used by different genres of business houses. All these applications have a simple and user-friendly interface that can be easily used by the managers and other executives. Some of these tools can also be customized by the users according to their requirement. Make the best utilization of these structuring tools for creating a self-explanatory graphical representation of data. 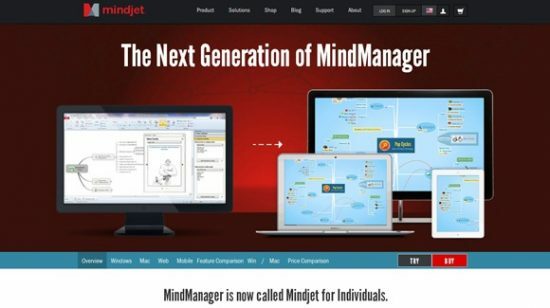 Post us your favorite mind mapping tools among these options and let us know why you liked it.